Once again, we have an example, who, as a student, still proves that it does not matter whether you are a student or a professional, as far as you believe in what you do, to achieve what you want in life! Born and brought in a small village, she always stayed in her own circle of people, with whom she spoke to and played with. She had no connect with the outer world. From an introvert, to becoming an example of what it means to create a history, is the story she has created, for herself. Varsha lad, who was once a girl who did not know what it means to dream, today, guides people on how to dream, what to dream, and how to achieve one’s dream! Varsha happened to execute various projects like women empowerment, sports equipment procurement campaign, newspaper bag campaigns, cleanliness campaigns, to name a few. Varsha had understood and learned a lot about life by the time she completed 12 weeks of having impacted thousands of lives through her inspiring words. “This was not me. I don’t even remember a day I would address at least 10 people in my class, but now, I address hundreds of students from schools and colleges. Not just address them, I’m able to motivate them to take action towards their own growth. Thanks to i3 for making me an independent individual who can take wise decisions. I’m now driven towards making my mother proud of having a daughter like me. There were a lot of people who told her that, it would have been better if my mother had a male child. I shall prove to them, what I can do and achieve, as much as a male child could have, or even more than what a male child could contribute to the growth in the family!” are her motivating words today. Going back to her childhood days, Varsha remembers a day when she lost her grandmother, which was a painful moment for her since she was emotionally attached to her. She got depressed and because of her behaviour after losing her grandmother, she was moved to another town where she had to stay with her maternal grandmother. There were 10 people at home, including her relatives and cousins. She had a good time staying with the family and studying in a school where she had good friends who were always there for her. She was once again led to depression when her other grandmother also expired, which once again became the reason for Varsha to become depressed, when one day, a nun, who was also a teacher at school, made her strong by telling her that every life has to leave the earth some day and we only need to live it to the fullest as far as god allows us to. She felt strong after hearing this. It was the first time she wasn’t present with father on his birthday and she missed him a lot. She spoke to him over a phone call and wished him for his birthday. Her father shared with her that he missed her. Varsha could only feel bad about the situation, but still, consoled him. Exactly after a month, when she was leaving to her school, she got to know about her father’s death, which was the biggest shock of her life. She had lost the person for whom she was the world, the person who had a lot of dreams for her. She decided to go back and stay with her mother, but, her mother wanted to not do it, since Varsha had to complete her studies. This was the situation where a lot of people said that her mother should have had a male child to take care of her. Varsha considered it as a challenge, went back to continue her studies and made her mother feel proud by scoring a 90 percent in her 10th grade. She moved on to a different city to continue her study in the course of engineering. She experienced a hostel-life, different environment, friends and lecturers, but, she got adjusted to all of them. She always remembered that she had to prove her worth to the world and hence, worked really hard to score high in her examinations. 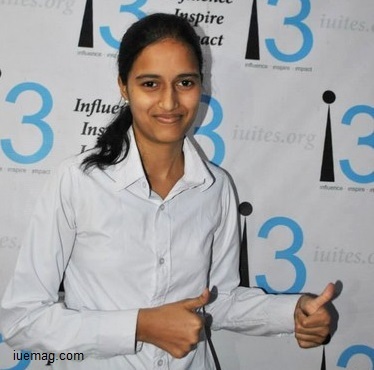 Varsha graduated from engineering as the topper of her department in all 8 semesters. She did not want to work since she wanted to pursue her MBA. She wrote her entrance examinations for MBA, where she secured a rank of 300 out of thousands of people who write the exam from the whole of the state. She got selected to join one of the best colleges of Bangalore, BMS College of Engineering, where she is currently pursuing her studies. It was the first ever time she was in a metropolitan city like Bangalore. She was worried about the environment she was in and hence, never spoke much. 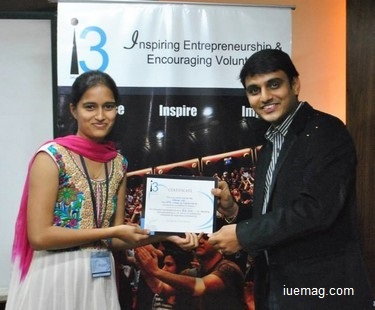 That was when she was guided to be a part of a platform like i3, which has changed her way of life. She continues to go to government schools and colleges to inspire students to become better individuals. She dreams to become an international inspirational speaker like her mentor, Mr. Sujit Lalwani. Varsha is now the pride of her college, friends and family, to whom she has proven, what she dreamed to! There is nothing that can now stop her from doing anything that she wishes to. A platform is always a need to unleash one’s potential and it’s high time that today’s youth should search for the right platforms to enhance their inner-growth! Any facts, figures or references stated here are made by the author & don't reflect the endorsement of iU at all times unless otherwise drafted by official staff at iU. This article was first published here on 17th December 2015.